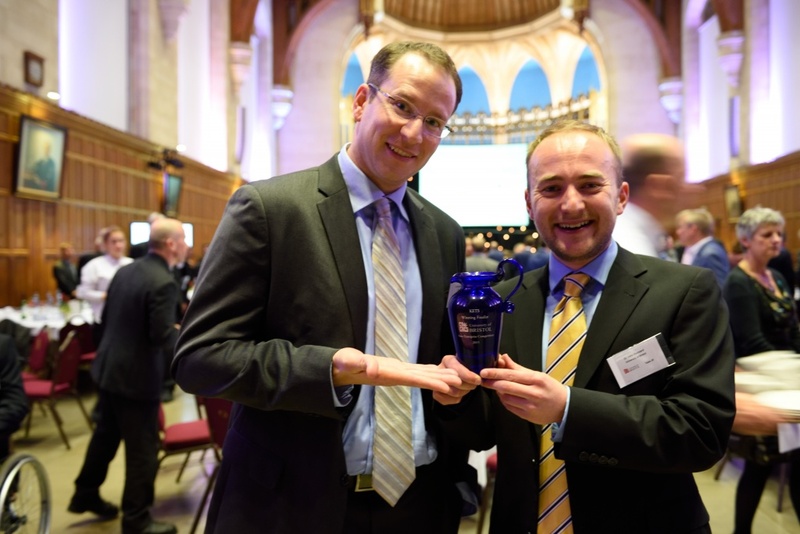 New technology to ensure data is secure has won the University of Bristol’s equivalent to Dragon’s Den and a share of over £35,000 prize money. KETS, a company formed by Dr Chris Erven, Dr Jake Kennard, Phil Sibson and Professor Mark Thompson, uses quantum cryptography to improve data encryption – ensuring information is safe in all situations, from bank transactions to critical infrastructure, and to individuals shopping online from the comfort of their own home. Their concept beat 103 entries to scoop the top prize in the New Enterprise Competition which was judged by a panel of industry experts. The team won £10,000 in cash, £2,000 worth of legal support and a year in the Bristol SETsquared Centre – the University’s double award-winning business incubator – to help develop the technology further, explore potential uses and how it can be licensed to industry. Nine finalists had to submit a 20-page business plan and give a presentation pitch to a panel of judges, before eagerly awaiting the announcement of the winner at the Enterprise Dinner in the Wills Memorial Building. KETS is the culmination of over two years work by the team, who are based in the University’s world-leading Centre for Quantum Photonics. They describe the technology as a ‘game changer’ because it uses new quantum methods to ensure the most sophisticated and secure communications. Second place in the New Enterprise Competition and £7,000 went to Funeral Arrangements, a company founded by French graduate Tom Harries, offering an online platform for funeral directors and the bereaved. And third place went to Imprint Clothing, a fashion social enterprise founded by History of Art student Lydia Cooper which aims to provide skills, flexible employment and empowerment to disadvantaged women in Bristol. She won £2,000 cash and £3,250 worth of marketing and business support. There were two ‘honorable mentions’ in this year’s competition, Filthy Banana and No More Taboo, who will each receive £1,000.